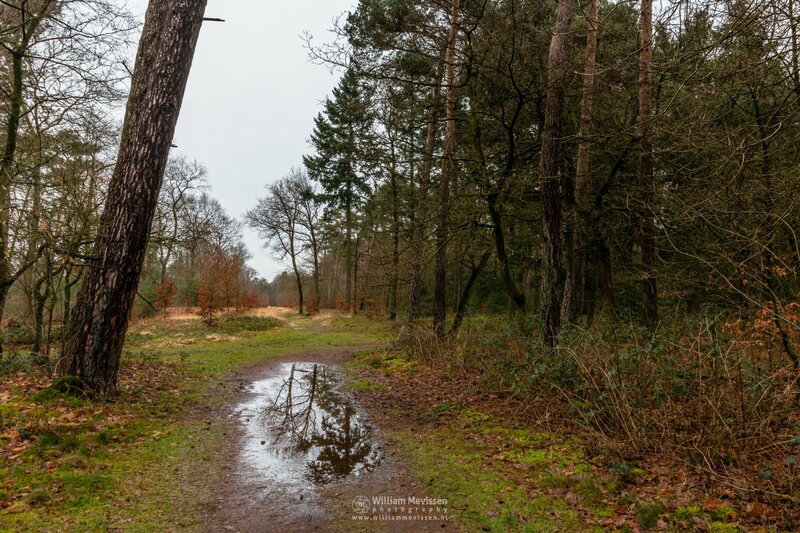 Forest Puddle on a grey winter morning in the forest of estate Landgoed Geijsteren, Geijsteren, Netherlands. Click here for more information about photo 'Forest Puddle'. 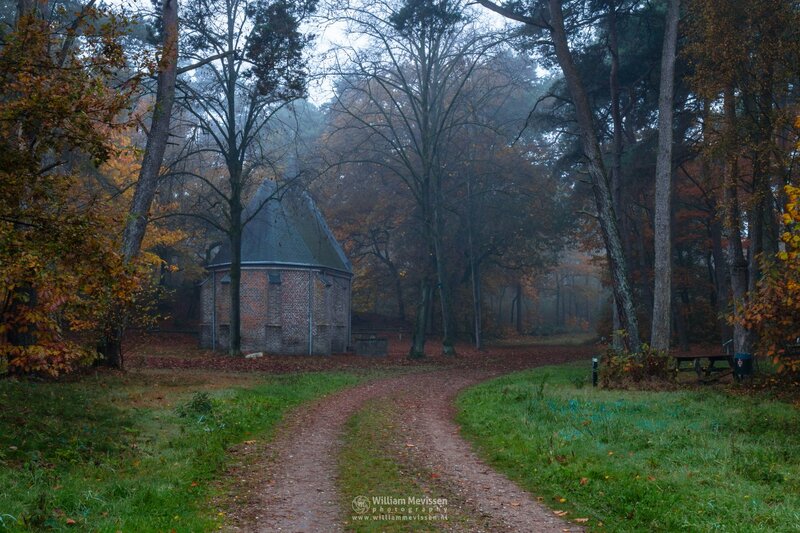 Path in the forest of estate Landgoed Geijsteren (Venray, Netherlands). 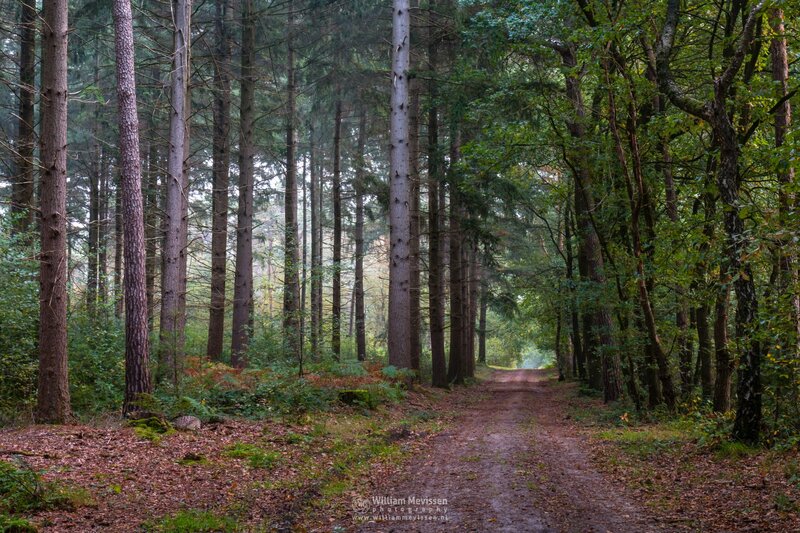 Click here for more information about photo 'Forest Path Geijsteren'. 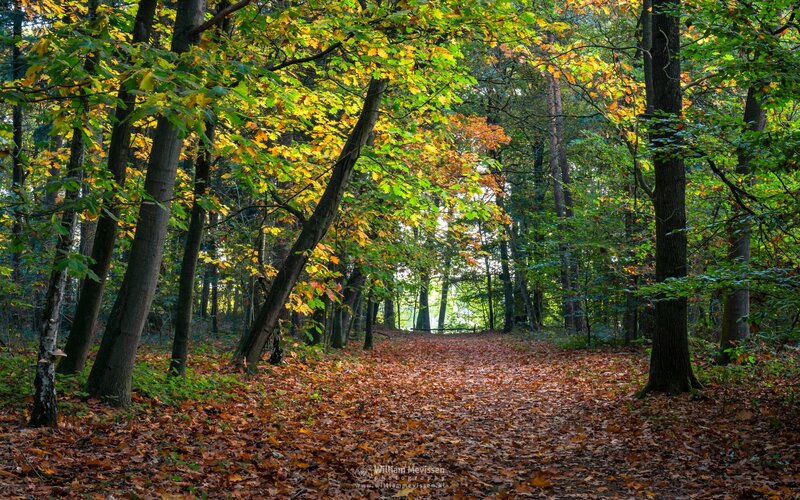 A beautiful path in autumn tones at the forest of estate Landgoed Geijsteren, Venray, Netherlands. Click here for more information about photo 'Autumn Foliage'. Autumn at the watermill Rosmolen (1667) at estate Landgoed Geijsteren, Venray, Netherlands. Click here for more information about photo 'Autumn At The Watermill'. 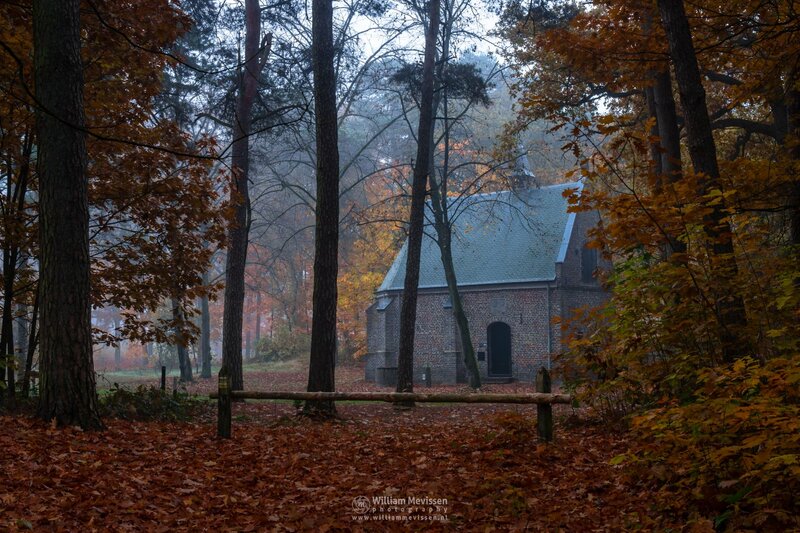 Chapel Willibrorduskapel in the forest of estate Landgoed Geijsteren, Venray, Netherlands. 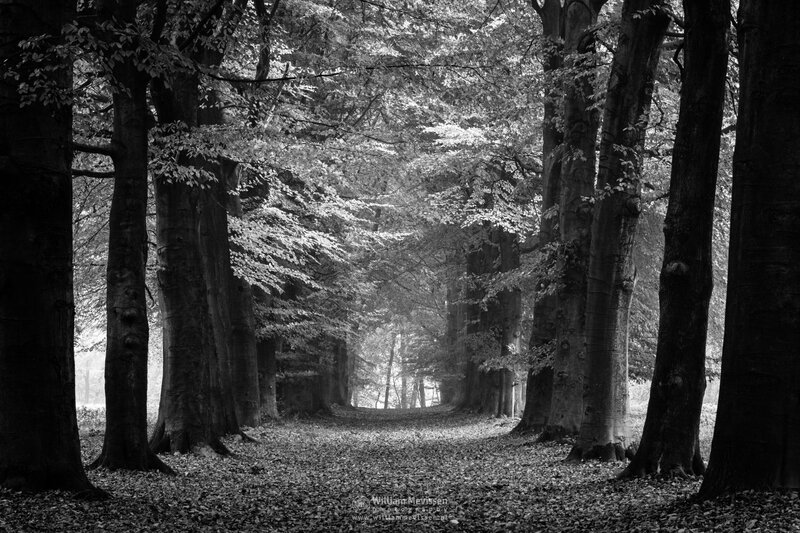 Click here for more information about photo 'Willibrorduskapel - Path 4'. Long before the building of this chapel - in gothic style - the location was a place of pilgrimage. The chapel dates from around the 16th century. Next to the chapel there is a centuries old well traditionally known as the holy spring and a boundary stone out of 1551. This boundary stone marked the boundary between the 'Land of Cuijk' and the 'Land of Kessel' and is now the border between the provinces of North-Brabant and Limburg. Small Trunk Bridge in the forest of estate Landgoed Geijsteren (Geijsteren, Noord-Limburg, Netherlands). Click here for more information about photo 'Small Trunk Bridge'. 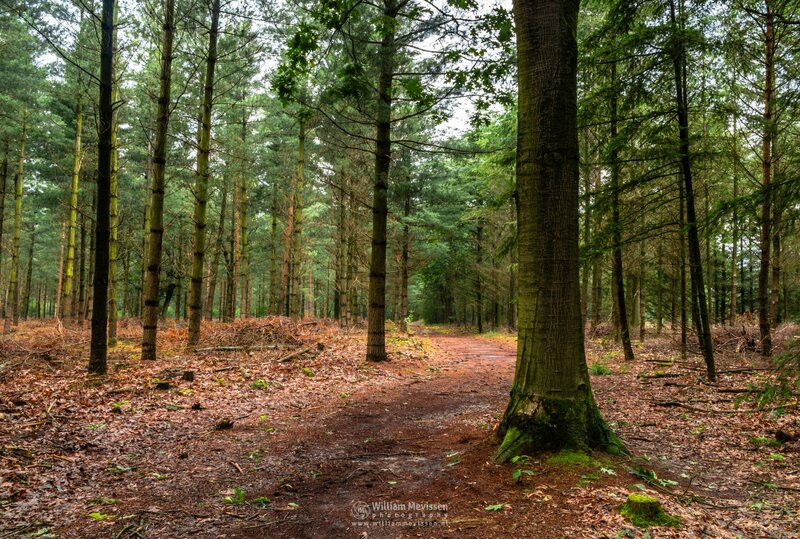 Path in the pine forest of estate Landgoed Geijsteren (Venray, Netherlands). Click here for more information about photo 'Pine Tree Forest'. 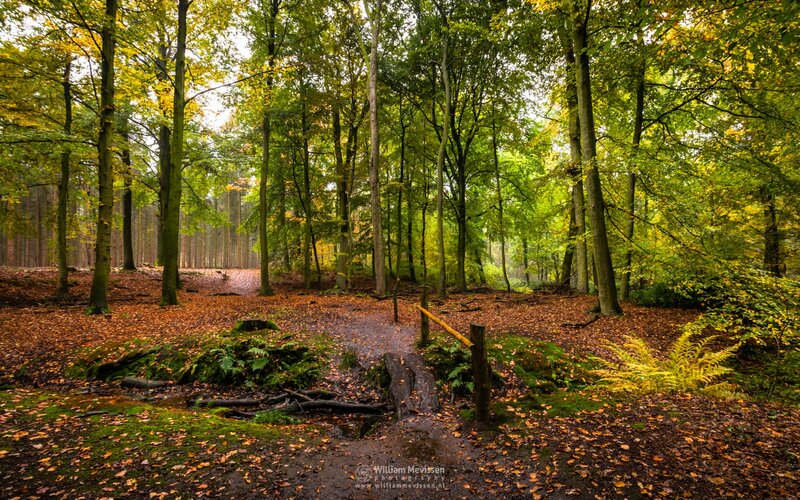 Autumn in the wild forest of estate Landgoed Geijsteren, Venray, Netherlands. 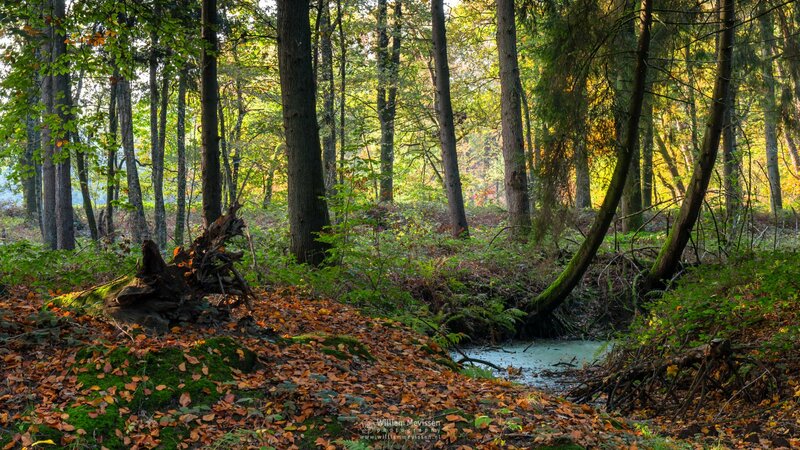 Click here for more information about photo 'Wild Autumn Forest'. Autumn Trees on a misty morning before sunrise at estate Landgoed Geijsteren, Geijsteren, Netherlands. Click here for more information about photo 'Autumn Trees'. Autumn beeches at nature reserve Landgoed Geijsteren (Venray, Netherlands). 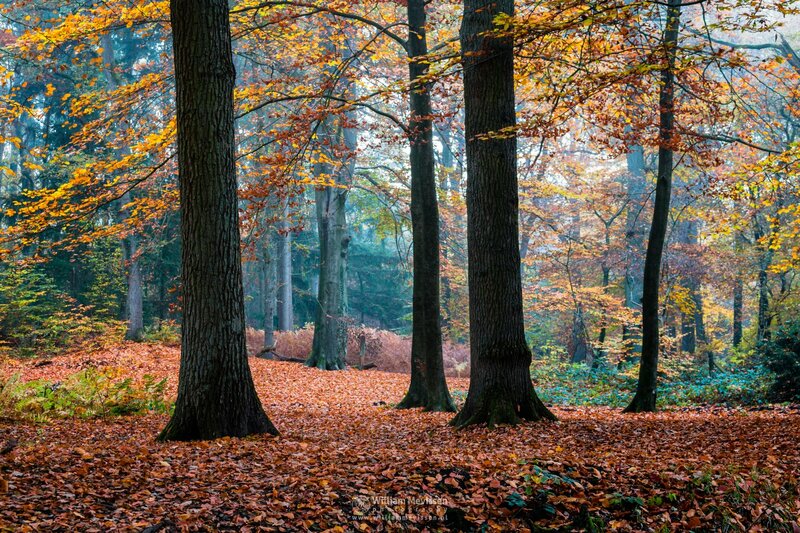 Click here for more information about photo 'Autumn Beeches Geijsteren'. Beautiful winter light on a cold winter morning around nature reserve Landgoed Geijsteren (Venray, Netherlands). 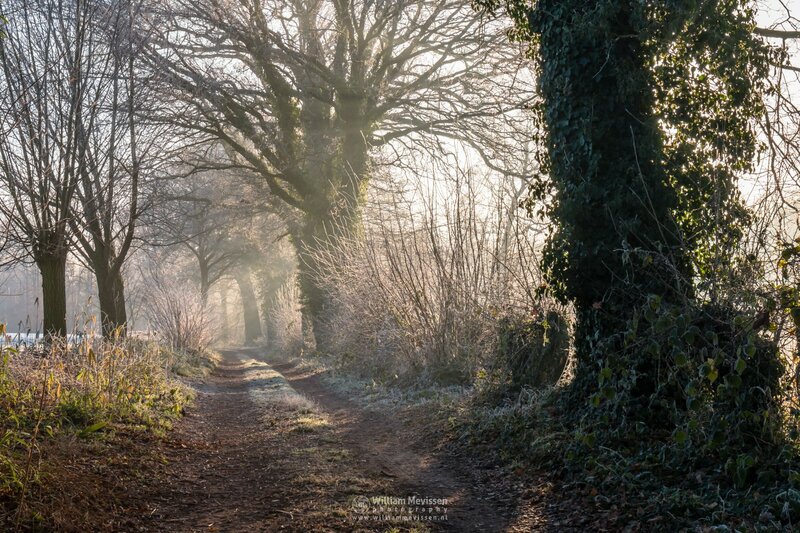 Click here for more information about photo 'Winter Light Path'. This is a HDR (High Dynamic Range) image of 3 single shots at a different exposure level merged together in Lightroom. Click here for more information about photo 'Willibrorduskapel - Path 2'. 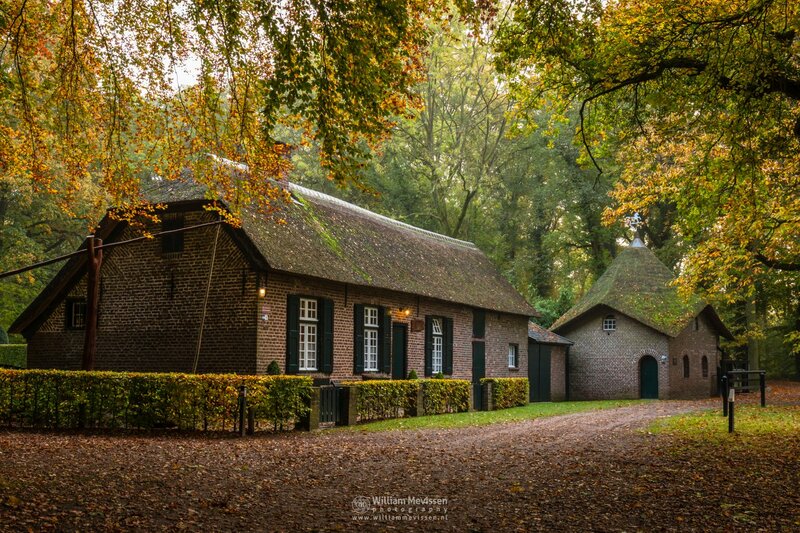 Estate Landgoed Geijsteren is located east of the nature reserve �Boshuizerbergen� and west of the village Geijsteren (Municipality Venray). The estate is privately owned and operated since 1806 by the family Weichs the Wenne. The area consists mainly of pine forests and the meandering brook Oostrumse Beek. 1) The Willibrordus chapel from around 1500. Beside the chapel is a landmark and an ancient well. 2) Watermill Rosmolen on the brook Oostrumse Beek which owes its name to a nearby former horse mill (in dutch: rosmolen).